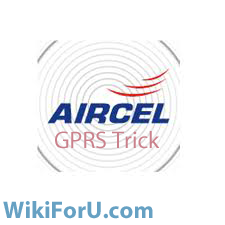 I am here with a New Hack Trick for Aircel Users.Aircel Users Now can get Free GPRS With this Trick. Infact this is not a Hack.This is a Service Provided by Aircel to Use One Day Free GPRS. 1. First of all you should have 3 Rs. to Use Free GPRS. 2. Now Dail *234*2# from your Mobile Phone. 3.You will see a Menu of Pocket Internet. Now Reply with 0 (For More). 3. Now there will be an Option like Click to Activate Free 1 Day GPRS. Activate it and You have Done. Now Enjoy GPRS on Your Mobile and PC. Note: Please don't claim on us if any trick is not working for you.You can tell us by Comments.We will help you as much we can.